The number of women entering the orthodontic profession over the past few decades has increased dramatically. A review of the literature revealed the lack of research on achieving a work–family balance among female dentists and dental specialists. Work–family balance has been researched more extensively in the field of medicine; however, despite some critical differences, parallels between these 2 professions exist. This study identified issues that Canadian female orthodontists face and strategies they use to achieve a work–family balance. A phenomenological qualitative study was used to analyze the results of semi-structured telephone interviews of a purposive sample of 13 Canadian female orthodontists. The results strongly support the role-conflict theory about the competing pressures of maternal and professional roles. Female orthodontists described their challenges and strategies to minimize role conflict in their attempt to achieve a work–family balance. The women defined balance as having success and satisfaction in both their family life and professional life. They identified specific challenges of achieving a work–family balance that are unique to orthodontic practice and strategies for adapting to their maternal and professional roles. Achieving a work–family balance is of paramount importance to female orthodontists, and the results of this study may be applied to other specialties in dentistry. Although the impact of women entering the dental profession has garnered substantial interest, only Ayers and colleagues,1 in their survey of 482 female dentists and dental specialists in New Zealand, have looked at their work–family balance. They found that most women who were specialists had their children after completing their postgraduate training (60.7%) or did not have any children (17.9%). In contrast, achieving a work–family balance has been researched more extensively in the field of medicine. Although there are some critical differences, parallels between these 2 professions do exist. The medical literature has focused more on what factors influence female physicians’ work–family balance and how these relate to career planning and job satisfaction. Mobilos and colleagues2 used a phenomenological approach to study Canadian female physicians’ work–family balance. Having a flexible work schedule was a top priority for these physicians when choosing a specialty because working reduced hours allowed increased time for parenting. All participants identified taking maternity leave as one of their biggest challenges in their struggle to balance family and career planning. In addition, in their survey of 95 female pediatric surgeons, Caniano and colleagues3 identified the biological challenges of becoming pregnant at an older age and the need for assisted reproductive technology. When asked about the reasons that women do not choose a career in surgery, 75% listed the lack of positive female faculty role models as one of the most important reasons. Women’s presumed willingness to take time away from their careers to cope with family needs results in a potential reduction in the workforce. In a survey of 396 female orthodontists in the United States, Blasius and Pae4 found that women with ≥ 1 children were more likely to work fewer hours per week than women without children and any of the men. Research5,6 about the work patterns of female orthodontists in the United Kingdom found that women worked fewer hours than men and women took career breaks that were an average of 4 to 6 months longer than those of men. The current study examined Canadian female orthodontists’ lived experiences of the work–family balance: the unique challenges of an orthodontic practice and the adaptations required to achieve a work–family balance. Phenomenology,7 a qualitative method, was chosen to investigate female orthodontists and work–family balance. After approval from the University of Alberta Human Research Ethics Board, 109 female orthodontists across Canada were identified from provincial licensing board lists. Because of language barriers that would hinder interpretation of the interviews, participants from Quebec were excluded. An information letter with a questionnaire and consent form was mailed to the identified orthodontists. The letter outlined the goals of the study and explained that after returning the questionnaire, they could be selected for an interview. The brief questionnaires were designed to obtain demographic information to aid in purposive sampling by maximizing sample variation. Forty-one questionnaires were returned: a response rate of 39.8%. From the 41 responses, a purposive sampling of 13 participants that focused on maximum variation to obtain a rich sample of women across the country was done. The age of these women was 26–35 years (4 participants), 36–45 years (4 participants), 46–55 years (3 participants) or ≥ 56 years (2 participants); their marital status was single (2 participants), married (10 participants) or divorced (1 participants); they had children (10 participants) or no children (3 participants); their practice structure was solo (8 participants) or group (5 participants), and owner (10 participants) or associate (3 participants). Thirteen interviews, ranging from 25 to 35 minutes per interview, were conducted by telephone between November 2009 and February 2010. The total number of interviews was determined when saturation of the data occurred (i.e., replication of information) through a process of dense category development and attainment of clear relations between the categories. Limited information about participants has been included in this paper to protect their identity. A semi-structured interview that followed an interview guide created by the researchers and informed by the literature provided a consistent line of questioning for all interviews. Questions were broad and designed to allow the participants to interpret the questions in the context of their own experience and generate their own thought processes.8 Questions were designed to obtain a definition of work–family balance and the challenges to this balance: How would you define work–family balance? How important is work–family balance to you? Do you feel you have achieved a balance in your orthodontic career and family? What strategies have you employed to achieve this balance? What issues/barriers (if any) have you faced in achieving a balance? How have you managed any issues/barriers? What are your suggestions for solutions to minimize these issues/barriers? Recordings of the telephone interviews were transcribed verbatim; data were coded and clustered into broad categories; emerging patterns were used to connect the categories; and these patterns were interpreted by a team of qualitative researchers and the resulting categories organized into themes that described the phenomenon.9 These steps established how dependable and confirmable the data were. Finally, the credibility of the interpretation of the data was established by returning the analyzed data to the study participants to check the accuracy of the interpretation. Summaries of the quotations from all participants and the context within which they were presented were emailed to the participants to ensure that the interpretations were accurate and the conclusions were representative of the lived experience. All participants replied with immediate, affirmative feedback. Participating female orthodontists identified specific challenges to their work–family balance that were unique to their orthodontic practice, and strategies for their adaptation to their maternal and professional roles. The specific challenges of orthodontics that affected the work–family balance were grouped into 4 themes: practice structure, scheduling issues, referral-based practice and lack of professional support. Subcategories were identified and are presented in Fig. 1. Practice structure issues included deciding whether to become an associate or to buy into a practice, making necessary accommodations during maternity leave, and cutting back days worked. Women in this study thought that becoming an associate early in their careers helped to better integrate family and work, particularly during childbearing and maternity leaves. The participants also thought that group or partnership practice offered flexibility and support for women’s work–family balance. Although the orthodontists returned to work shortly after giving birth, practice structure was modified by having someone cover for them during their maternity leave, decreasing the patient load during this time or increasing the time between recalls. To maintain practice flow and patient care, many of the women also started back to work on a part-time basis during the time when they would normally be on maternity leave. Although most women gradually increased the days worked per week, some women permanently cut back their working days while raising their children. Frequent recall appointments meant that some women believed that they could not take maternity leaves longer than the typical 6-week recall interval so that they could maintain treatment flow. Even women who had someone cover for them during their absence felt pressure to return to work so that their patients would have the continued care of their primary practitioner. Work–family balance was also challenged by the dependency of orthodontic practices on referrals and the significant time required to foster relationships with these referring dentists. In particular, study participants believed that they needed to reassure these dentists that their pregnancies and maternity leaves would have minimal impact on patient care. Study participants commented on the need to market their practice to the public and the large amounts of paperwork required to correspond with referring dentists. These aspects of their business required significant time outside of regular hours and often conflicted with time that could have been spent with their families. Although a large majority of participants did not have any female mentorship during their graduate training, they indicated that it would be very beneficial to have mentorship at that level. Once in private practice, the women thought they would have benefitted from some type of assistance from their professional organizations, from simple measures such as providing information resources to implementing a formalized system that would allow women to easily find a locum during their maternity leaves. The participants shared how they had to adapt to their maternal role: altering the timing of childbearing; taking short maternity leaves; using a support system for childcare, caring for a sick child and housework; adapting breastfeeding practices. These women mentioned the need to decrease personal and relationship time to facilitate the work–family balance: this time ranged from limited to nonexistent. They also believed that, because of their short maternity leaves, they were segregated from other mothers, which limited their ability to seek the normal avenues of support available to new mothers. Due to these compromises, the participants identified conflict between their professional and maternal roles. Female orthodontists participating in this study identified 4 challenges their orthodontic practices presented to achieving a work–family balance: practice structure, scheduling issues, referral-based practice and lack of professional support. They considered their satisfaction with their personal and professional roles, and the need to compromise and prioritize to be essential to the achievement of a work–family balance. They identified adaptations to both the maternal role and professional role, and the areas in which they experienced role conflict. Ownership of the practice is a common goal among orthodontists that all the women in this study shared. Despite this ambition, women chose to start their careers by becoming an associate in an orthodontic practice to minimize their responsibilities for practice management and allow more time for family. Blasius and Pae4 found that although female orthodontists in their study were slightly less likely to own their practices than the men, only 20% of these women did not own their practices. The results also showed that the women who did not own their practices were more likely to take extended leaves of absence. Ayers and colleagues1 also reported that more women than men were an associate in a practice rather than owned their own practice. Another practice adaptation was to choose a group or partnership practice over a solo practice. Although the majority of women in our study were in solo practice, their perceptions concurred with the findings of Ayers and colleagues1 that group or partnership practices offered flexibility and support for women trying to balance work and family. Blasius and Pae4 found that solo practices were far more common than group practices; however, women were slightly more likely to be involved in a group practice than men. The length of the continuous-care component of orthodontic treatment (often in excess of 2 years) makes a break in practice more difficult. Collins and colleagues6 also identified the longitudinal nature of orthodontic treatment as a challenge that makes it difficult for orthodontists to take lengthy breaks. Women in the current study returned to work on a part-time basis after a short maternity leave (6 weeks on average) and then increased the number of work days over time. Ayers and colleagues1 found that dentists worked reduced hours upon their return to work after having a baby. Blasius and Pae4 also found that, for female orthodontists, the number of children was a good predictor of the number of days worked per week: the greater the number of children, the fewer the number of days worked per week. Another challenge our study participants faced was caused by the small number of orthodontists available to act as a locum for them during their maternity leaves. Collins and colleagues6 found a similar issue among female orthodontists looking for a locum in the UK. Female orthodontists in our study were concerned that their patients and referring dentists would presume that they were less committed to their careers when they were balancing professional and family responsibilities. Because of this perception, some women reassured their referring dentists about their intentions to minimize the impact of their maternity leaves. No published studies about the impact of female orthodontists’ attempts to balance work and family on referrals in orthodontics or other dental specialties exist. Although the majority of participants in the current study thought that a mentor was important, they had had no opportunity to interact with other female orthodontists who could provide an example of work–family balance at any stage in their careers. Gordinier and colleagues10 found that only 35% of gynecologic oncologists reported having a female mentor, whereas 71% believed that having a female mentor was of moderate to great importance. The most important quality sought in a female mentor was having achieved a successful balance between career and family. This study highlights the challenges female orthodontists face in achieving a balance between their work and their families. The results raise awareness about this topic and provide a resource for young women who may be considering a career in orthodontics. A few recommendations for improving the work–family balance for female orthodontists arise out of the findings of this study: inviting guest speakers to conferences to discuss these issues, providing a medium or forum to connect female orthodontists to encourage support and exchange of ideas, implementing a registry of locums to aid those seeking coverage for maternity leaves and instituting mentorship at the graduate education level. This qualitative study provides insights into the issues female orthodontists face about balancing work and family. Although the study was qualitative and the sample was small, quantitative data from the larger female orthodontic population in Canada could be obtained. This type of demographic information would allow licensing bodies to justify an increase in support for female orthodontists from membership organizations. It could also provide feedback about the impact that an increased number of women entering the profession would have on orthodontic supply and demand. The increasing number of women entering dentistry and medicine makes the issue of work–family balance increasingly relevant. The results of this study describe the rich experiences of female orthodontists trying to achieve a work–family balance. The findings reflect their definition of balance, the specific challenges to orthodontic practice, and their strategies for adapting their maternal and professional roles to achieve a balance. This study will provide a useful resource for female orthodontists at various stages of their career facing the challenges of achieving a work–family balance while practising orthodontics. This information can help graduate programs and professional organizations to understand where to make changes to minimize the effects of these challenges and to establish a support system for women to help them achieve a work–family balance. Dr. Davidson is a former graduate student in the orthodontic graduate program, department of dentistry, University of Alberta, Edmonton, Alberta. She is currently in private practice in Dartmouth, Nova Scotia. Dr. Major is professor and associate dean in the department of dentistry, University of Alberta, Edmonton, Alberta. Dr. Flores-Mir is associate professor and head of the division of orthodontics, department of dentistry, University of Alberta, Edmonton, Alberta. Dr. Amin is assistant professor in the department of dentistry, University of Alberta, Edmonton, Alberta. Dr. Keenan is assistant professor and director of community engaged research in the division of community engagement , faculty of medicine and dentistry, University of Alberta, Edmonton, Alberta. Ayers KM, Thomson WM, Rich AM, Newton JT. 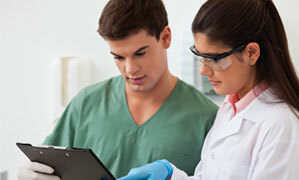 Gender differences in dentists’ working practices and job satisfaction. J Dent. 2008;36(5):343-50. Epub 2008 Mar 3. Mobilos S, Chan M, Brown JB. Women in medicine: the challenge of finding balance. Can Fam Physician. 2008;54(9):1285-6.e5. Caniano DA, Sonnino RE, Paolo AM. Keys to career satisfaction: insights from a survey of women pediatric surgeons. J Pediatr Surg. 2004;39(6):984-90. Blasius JJ, Pae EK. Work-pattern differences between male and female orthodontists. Am J Orthod Dentofacial Orthop. 2005;128(3):283-90. Murphy TC, Parkin NA, Willmot DR, Robinson PG. The feminization of the orthodontic workforce. Br Dent J. 2006;201(6):355-7. Collins JM, Cunningham SJ, Moles DR, Galloway J, Hunt NP. Factors which influence working patterns of orthodontists in the United Kingdom. Br Dent J. 2009207(1):E1, discussion 30-1. Epub 2009 Jul 3. Creswell JW. Qualitative inquiry and research design: choosing among five traditions. Thousand Oaks, Calif: Sage Publications; 1998. Starks H, Trinidad SB. Choose your method: a comparison of phenomenology, discourse analysis, and grounded theory. Qual Health Res. 2007;17(10):1372-80. Polit DF, Beck CT. Nursing research: principles and methods. 7th ed. Philadelphia: Lippincott Williams & Wilkins; 2004. Gordinier ME, Ramondetta LM, Parker LP, Wolf JK, Follen M, Gershenson DM, et al. Survey of female gynecologic oncologists and fellows: balancing professional and personal life. Gynecol Oncol. 2000;79(2):309-14.